That isn’t the kind of headline we see on our sports pages. But it represents what’s really happening in baseball. When a guy says, “What happened in baseball today?” he refers only to male players and only to the two major leagues. A lot more baseball goes on outside those two leagues, and women are right into it, although the media lags behind in revealing their story to readers. Women’s baseball history is full of dramatic events and fascinating players. Changes occur every day. When women players refer to “what’s happening in baseball,” this is what they are talking about. In researching women’s baseball history, I realized that by the time of the thirties some women players had reached a high level of skill. Although some men continued to disparage women’s efforts and sneer at their accomplishments, others recognized good playing when they saw it. Minor-league managers in particular actually tried to hire good female players for their teams. Guess who blocked them: Commissioner Kenesaw Mountain Landis. David Pietrusza, in his biography of Landis, calls him “a hopeless ham” with “a flair for the dramatic.” Studying Landis’ life would give any reader the additional impression that Landis was an opinionated and narrow-minded man. I think it’s safe to say Landis had never seen a skilled female player in action. Nevertheless, he felt qualified to rule on all women players’ ability to do the job. At least twice and probably three times in history, a woman player was hired for a minor-league team only to have her contract cancelled on account of her gender before she even had a chance to display her skill. Discrimination against a person because of gender wasn’t yet illegal. Apparently, the managers who hired these women failed to fight for them, and the teams lost their services. These players went home quietly, as women were supposed to do in those days, and found some other athletic activity to engage in. Organized Baseball gave up the chance to start being inclusive. These events made me wonder what would have happened if one of these women had refused to accept her rejection. What if she became angry and made some sort of fuss about it? I realized that I had found the theme for an intriguing historical novel. That’s how I came to write Drawing Card: A Baseball Novel, which has just been published by McFarland. I’ve written historical novels in the past, but most of my work (except for my children’s books) is nonfiction, and the bulk of it lies in the field of baseball history. It occurred to me that this was my opportunity to combine my two special interests, writing baseball history and writing historical novels. I knew that if my main character’s objection to having her contract cancelled was to be believable, she would have to be an unusual woman for the times, so I portrayed her as a descendant of truculent Sicilians resentful of the constant invasions of their island by the Greeks and other invaders. Flashbacks to earlier Sicilian history gave me the opportunity to show that throughout history, athletic women’s aspirations have constantly been blocked. Why is that important? Because it still happens today. Many baseball men have no idea that women possess a solid history in baseball since the 1860s, with each generation producing some good players who might have at least made the minor leagues if men had permitted them to show their talents. Today’s female baseball players (and umpires) have a hard time getting recognition for their abilities. When baseball fans and baseball officials begin to realize that women really do play the National Game, scouts and managers may turn from the Caribbean back to their own home shores for the development of future major leaguers. Look around, guys, for what’s right under your noses. Many of these women have been playing baseball since they were five years old and don’t need to be taught how to do it. My next writing project may help. 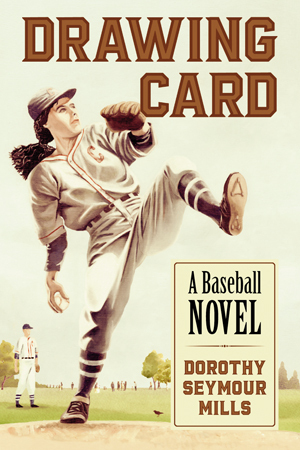 I’m under contract with a publisher of electronic books to write a history of women’s baseball for young people. 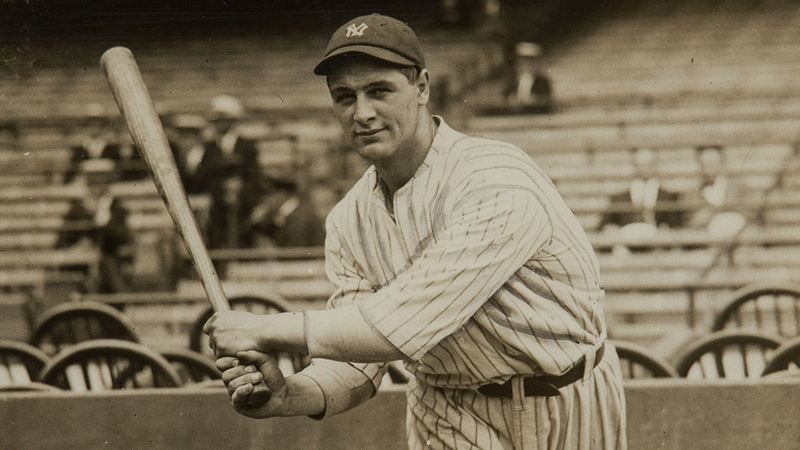 They all know about Babe Ruth, but they’ve never heard of Babe Didrickson. They’ve heard the stories about Jackie Robinson, but not about Jackie Mitchell. It’s about time they discovered that women have produced some baseball heroes, too. And they’re not done yet. The only problem with this is that women aren’t as good at baseball as men. There is a ~0% chance that a woman makes the majors, since she just doesnt have the physical abilities to compete. If minor leagues were independant, i think you’d see some girls playing professionally. I would think that if women were given the same opportunities and exposure throughout all levels that there would certainly be at least some that could succeed at a major league level. Eri Yoshida, an eighteen-year-old, five-foot-tall knuckleball pitcher who played pro ball in Japan, signed with the Chico Outlaws of the independent Golden Baseball League in April 2010. This made a bit of a media splash at the time, as Yoshida was the first female pitcher to play professional baseball in the United States in more than a decade. Did Landis overtly ban the women from playing or were offers revoked mysteriously but everyone knew? If I remember correctly the color barrier was never an official rule. Various people in authority would like to point out this fact: segregation wasn’t their doing as simply none of the teams had found any black players worth signing. Of course, when a team actually did uncover one of these prized yet mercurial African talents and tried to utilize said skills, for some reason that never worked out. Yes, Landis overtly banned women. There was a written rule on the books that rather unbelievably was not repealed until the early 1990s. Landis has been gone for 60 years, Budman just wants to make a buck. Plenty of opportunity for a ‘Jackie Robinson’ type player, except that you cannot draw – money talks after all. Get the fans instead of blaming it on others.